Raise your traditional style quotient to the next level as you dress yourself in this princess cut kurta from Fusion Beats. 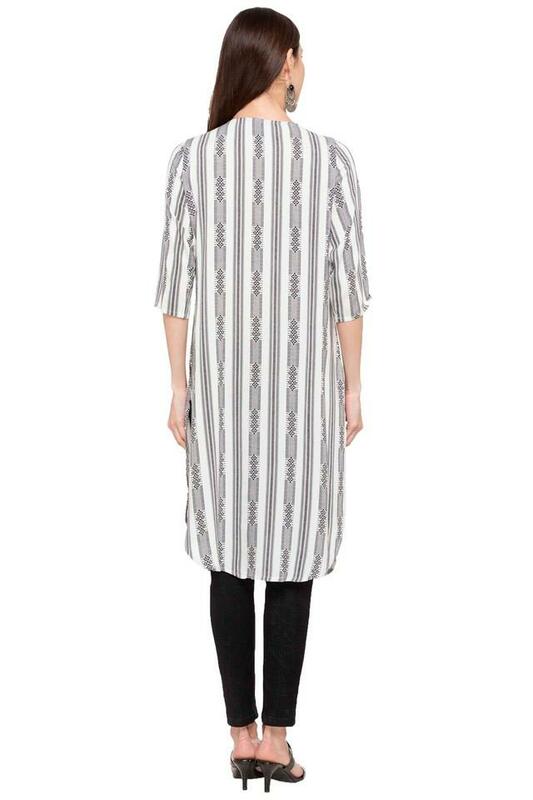 Further it features round neck, printed pattern and three quarter sleeves which gives it a trendy look. 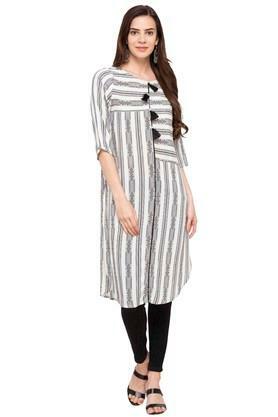 Hook up with comfort and roll with time as you adorn this kurta using good quality fabric. 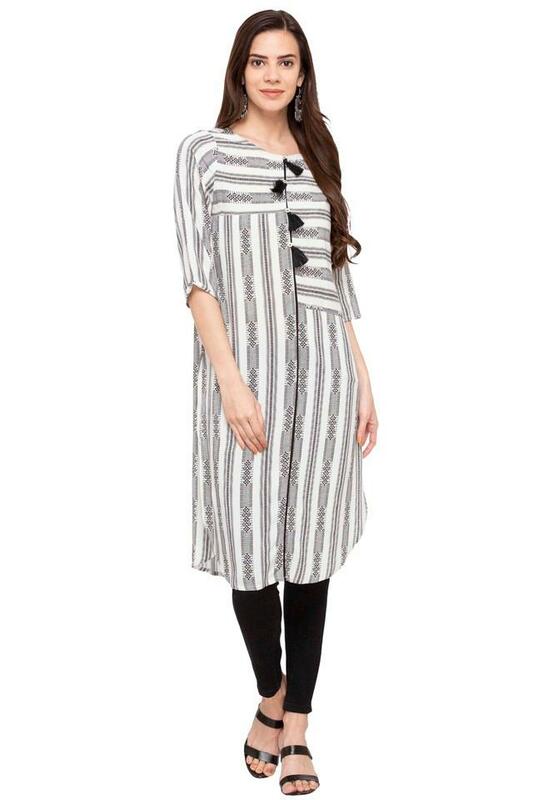 Provide your ethnic silhouette a touch of vibrant sophistication with this elegant kurta. You can easily match it with a pair of leggings in a contrasting shade to look your best.